Congratulations to Jack and Patti Phillips, CTR’s first Distinguished Contributor Award winners. This award recognizes outstanding and significant contributions to the measurement and management of human capital. Particularly noteworthy are Jack’s groundbreaking book, Handbook of Training Evaluation and his concepts on isolated impact and ROI. Jack and Patti’s ROI methodology has been implemented in hundreds of organizations in over 70 countries. They have forever changed the standard by which investments in human capital are measured. Congratulations to Sun Trust, CTR’s 2019 TDRp Award winner for Learning Governance. Sun Trust earned this award for their best practices in running L&D like a business. In particular, Sun Trust provided evidence that L&D participates in a continuous robust enterprise-wide governance process that ensures L&D has a voice and input into enterprise priorities and funding. The governance council moreover has clear guidelines for funding initiatives and exercises ongoing oversight through disciplined financial budgeting, reporting, and forecasting. 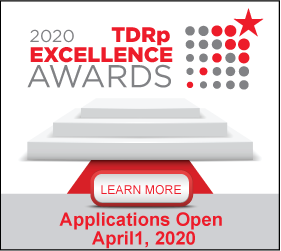 Congratulations to Texas Health and Heartland Dental who have been awarded the 2019 TDRp Award for Learning Measurement. Texas Health has demonstrated a depth and breadth of commitment to measurement through a Learning and Education Cabinet which directs, guides, monitors, evaluates, and reports quarterly on learning according to strategic business goals. In addition, they have established learning oriented measures not only at the program level but also at the CEO level. They have well-defined roles for measurement and strategic responsibilities. They leverage Metrics that Matter™ technology to organize programs into business aligned portfolios that drive measurement planning and reporting. Heartland Dental has demonstrated a commitment to measurement through well-defined measurement roles, the use of a portfolio model to segment their offerings and drive consistent decisions about what, when and how to measure their solutions. They focus on linking learning to business outcomes and demonstrating the “so what” to their business partners. In addition, they have established specific goals for their measures and incorporate their goals into their regular reporting. Finally, they leverage Metrics that Matter (MTM) to gather and report data to their stakeholders. After working with MTM to establish a strong measurement process, Heartland has been able to see dramatic changes and an increased savings in Learning & Development. “We have also been able to create efficiencies in automating data collection and reporting. By incorporating MTM data and insights into company metrics we have been able to tell a deeper story of the impact of Learning & Development. Additional benefits include being able to socialize best practice metrics from the programs across various stakeholders and business leaders. Our compelling insights, shown in custom report, infographics, and dashboards have allowed us to elevate the conversation and our involvement in company decisions,” said Fulton.